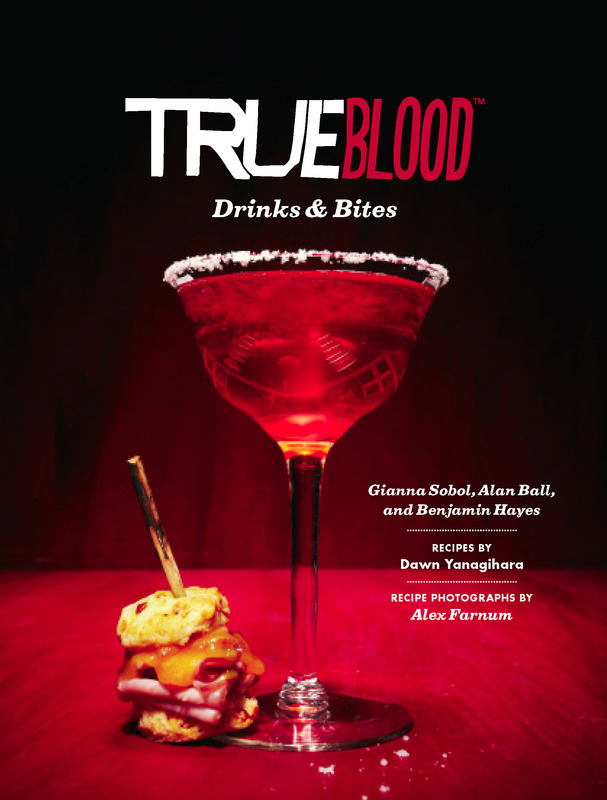 For the ravenous fanbase of HBO’s smash hit series, True Blood Drinks & Bites presents 45 quick and easy recipes for themed gatherings and weekly watch parties, all inspired by the series’ most notorious vampires and victims. From the creator of True Blood and his writing team, these are deliciously “in-world” appetizers, cocktails, and non-alcoholic drinks to enjoy as the drama goes down in Bon Temps. Think Scorn Fritters and Hot Dates, washed down with an ice-cold Spirit Lifter. Entertaining and packed with novelty—including quotes and commentary from the characters themselves, plus original unpublished photography from seasons 1 through 5—True Blood Drinks & Bites brings home a fun and tantalizing taste of the onscreen action. 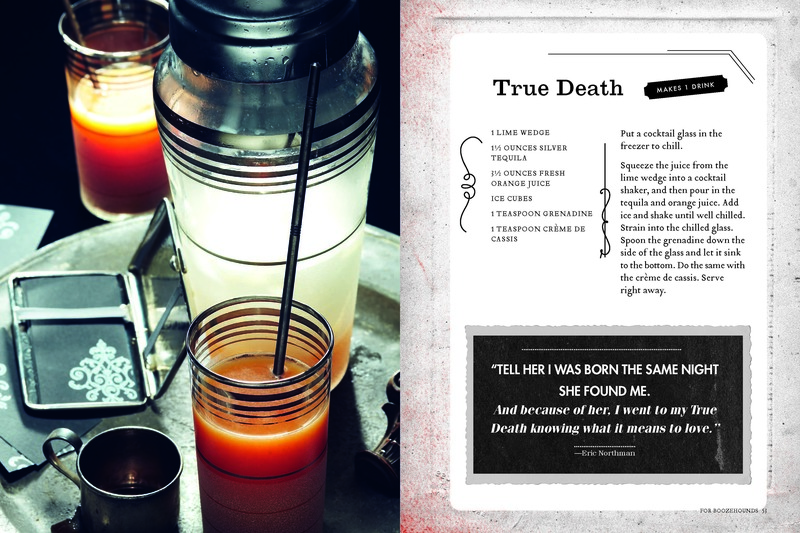 Reprinted with permission from True Blood Drinks & Bites, copyright (c) 2013. Published by Chronicle Books. Support your local bookstore, or buy the book through our affiliate link at Amazon.com. 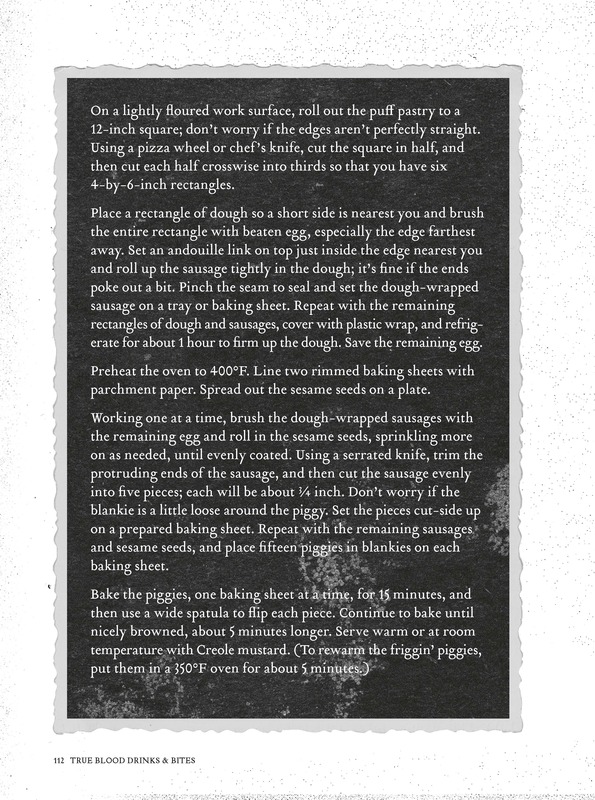 Click image to expand recipe. Alan Ball is the creator and executive producer of True Blood now in its seventh (and final) season. Gianna Sobol is an associate producer. Benjamin Hayes is the True Blood writers’ assistant and an independent screenwriter. Dawn Yanagihara is a professional recipe developer, cookbook editor, and contributing editor for Cook’s Illustrated magazine. Alex Farnum is a West Coast–based photographer. © 2013 Home Box Office, Inc. All rights reserved. True Blood and related trademarks are the property of Home Box Office, Inc. 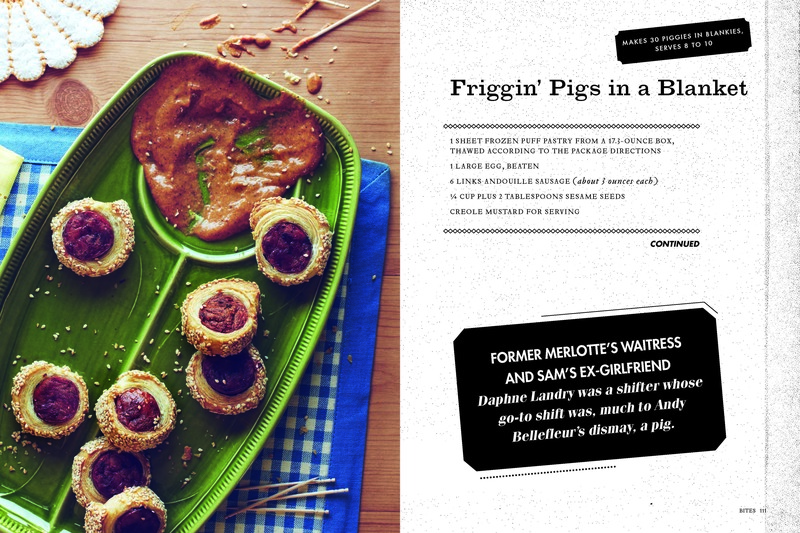 This entry was posted in Drink, Eat and tagged cocktail, cookbook, Eat, HBO, pigs in a blanket, recipe, True Blood. Bookmark the permalink.